All new image software that gets released wants to become your go-to software. Coming in against the world of Lightroom and Photoshop can be a tough prospect. So tough that even Apple bowed out, completely dropping Aperture from its product line. There have been one or two challengers, but nothing really has the market that Adobe do. Macphun are hoping to change that, though, with their new “next generation” all-in-one image editing software. Announced today, Luminar is a photo editing tool “which grows with photographers’ capability and knowledge”. Luminar has a non-destructive editing workflow, much like Lightroom or Adobe Camera Raw. It supports all the usual file formats including JPG and TIF along with all of the popular raw formats. 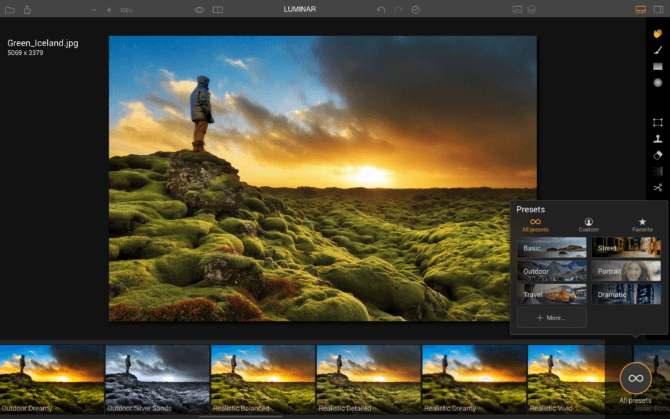 Macphun say that Luminar was created to address a number of issues that photographers face. The main issue is that of new technology. With more ways to capture and enjoy images than ever before, Macphun felt that software hasn’t really kept up. At least, that it hasn’t when it came to the desktop. They also acknowledge that photographers have very different ways of working. To tackle these issues, a new scalable adaptive user interface was developed for Luminar. This allows the UI to change to best suit an individual photographer’s workflow. For new photographers and mobile shooters, there’s a selection of preset filters. There’s also the usual complement of cropping, noise reduction and healing tools. Photographers that are a little more advanced, or grow in ability, can transition over towards an interface that gives more refined controls, similar to those found in applications like Lightroom and Capture One. If you already know what you’re doing, you can just jump straight into the main editing interface. Here you get brushes, layers, blending modes, texture overlays, editing history and more. You can tell that Macphun want to appeal to a very wide range of photographers with the new software. They’re not completely trying to oust Adobe, though, as it will run as a plugin for both Lightroom and Photoshop. Of course, if you’re just starting out and don’t own any Adobe products, it will also run as a standalone application. Even if more users do opt for the standalone version and don’t need to use adobe products, they’ll never completely be able to replace Adobe products for many users. This is mostly because they’re yet another company only developing software for the Mac. With no Windows version even suggested (and with a name like “Macphun”, why would they?) they are severely limiting their market. Serif faced a similar situation with their Affinity line of software. Affinity has proven hugely popular on the Mac, but Windows users have been left waiting. While Affinity Designer is now in free Public Beta for Windows, Affinity Photo is still yet to be released. For those who use Macs, though, it looks like it could be a great new alternative for working on your images. The ability to adapt the interface to your preferred workflow is certainly handy. It’s a bit like “Workspace” presets in some Adobe software, and something I take advantage of often in applications like Premiere Pro. Luminar will be available for pre-order starting on November 2nd. Existing Macphun customers will be able to pick it up for $50. For new customers it will cost $60 during the pre-order period. The software will be available on November 17th, when prices will increase for current and new customers to $60 and $70, respectively. If you want to find out more, head on over to the Macphun website. What do you think? Are you happy with Lightroom and Photoshop? Have you already abandoned Adobe in favour of Capture One, Affinity or some other software? Will you be looking into getting Luminar? Let us know your thoughts in the comments. Who would sign a petition to ban the usage of the word “revolutionary” for yet another camera/software/phone/gadget that shares 95% of it’s functionality with everything else on the market? Only if “next-generation” with the same caveat can follow closely upon its heels. Add “game-changing” to that and I’m in! I admire the proactive nature of this proposal – it’s a truly disruptive innovation, a quantum leap and a paradigm change. …Add all of those phrases and I’m in. buncha smartasses here! The marketers will not be happy with these changes! Took me a year to get comfortable with Lightroom and now it’s 2nd nature to me, now this? Bring it on! Hi Kris — see my reply to bartom above: it will be available for Windows PC users in 2017. 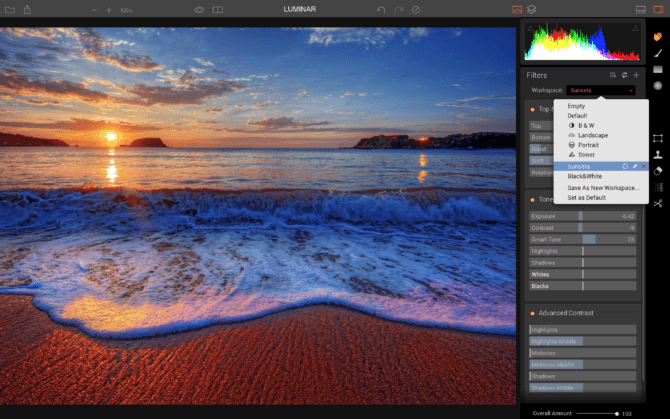 We have officially announced Windows versions of Luminar and Aurora HDR. LRCC is great. Capture One is great. I’m sure this will be nice but with those two both used in my workflow as needed, why would I want another? Is this aimed more at the people jumping up from instagram filters? You can always download a free trial and check how this one will fit your workflow. The demo version of Luminar will be available on Nov 7. 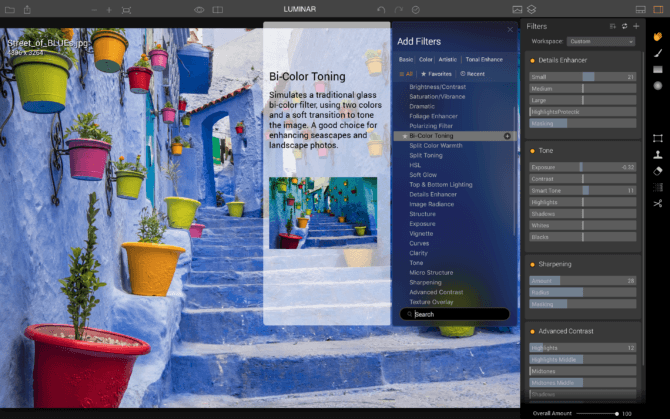 On the MacPhun web site blog, on Luminar, the reps say that Luminar WILL be released for Windows PC users, in “late Spring 2017”. They also are saying that it will have a “DAM” data base catalog system, similar to Lightroom, in the near future also. Also, this December will have an update for Batch Processing (which I need). Desperate to find anything to stop using Lightroom. Evaluating Luminar, Capture One etc. Wedding photographer. Adding layers is a big step. I am using the Windows version. With layers and better masking tools, I am able to do a lot more things in just Luminar instead of having to switch back and forth between Photoshop and lightroom, There also more built in filters (like the accent AI filter) and the ability to load and create lookup tables (LUTS). I have used Lightroom, Photo Director and Luminar and I am really liking Luminar.